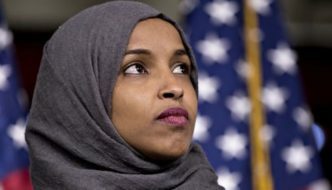 Jihad Watch : If the Left and the establishment media had any standards of decency whatsoever at this point, Omar would be long ago. The Republican establishment likewise has been unaccountably silent. Only President Trump has had the courage to speak up and tell the truth about this.